The New Zealand Journal of Physiotherapy is the official journal of Physiotherapy New Zealand, published three times a year, in March, July and November. 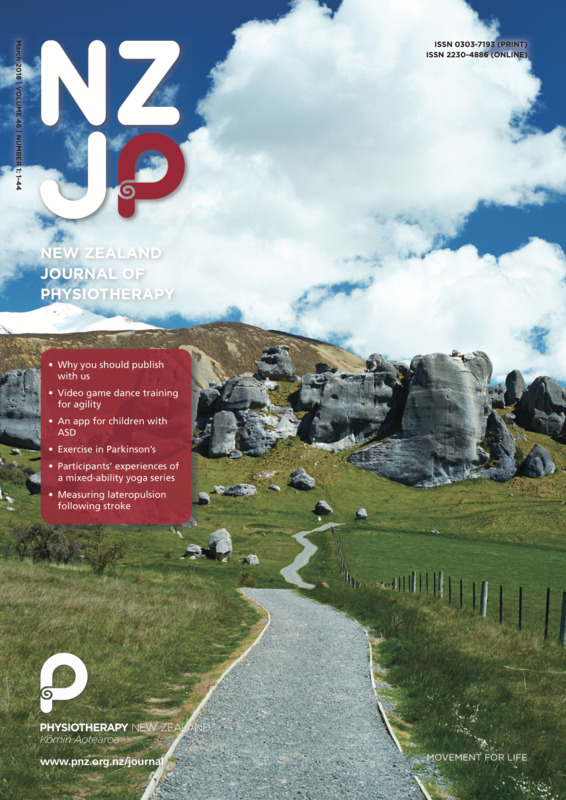 The New Zealand Journal of Physiotherapy is the official journal of Physiotherapy New Zealand. The Honorary Editorial Committee aims to publish original quantitative and qualitative research that advances physiotherapy science and practice. The Journal invites authors to contribute papers for peer review under the following categories: research reports, scholarly papers (clinical and professional perspectives), literature reviews, case studies, study protocols, clinical commentaries, clinically applicable papers, and reviews of books and audio-visual products. The Journal is published three times a year, in March, July and November. Please click here to see the Subscription Rates. SOme back catalogue is available online. Please note if you require an earlier issues of NZJP, email pnz@physiotherapy.org.nz. The New Zealand Journal of Physiotherapy is the official academic journal of Physiotherapy New Zealand. The Journal invites authors to contribute papers relevant to any aspect of the science and practice of physiotherapy. Interested in becoming a reviewer? Peer-review is an important part of the publication process and we are keen to increase the pool of potential reviewers. If you are interested in putting your name forward please fill in the application form. New Zealand Journal of Physiotherapy. All rights reserved. Permission is given to copy, store and redistribute the material in this publication for non-commercial purposes, in any medium or format as long as appropriate credit is given to the source of the material. No derivatives from the original articles are permissible.